Raewyn Greer Completes purchase of Belvoir Camberley Sales and Lettings | Belvoir! We would like to congratulate Raewyn Greer, owner of Belvoir Aldershot on her recent purchase of the Belvoir Camberley Franchise. Raewyn has owned the Aldershot francise since January 2014, and in that time has purchased rental portfolios from Holybourne Lettings and Marc Lawrence Estate agents, which has seen the business go from strength to strength, so when the Camberley franchise came up for resale it seemed like an ideal match at the ideal time. The teams at both offices are well established in sales and lettings, and bring a variety of skills and knowledge that they can share across the 2 areas, which can only further benefit landlords and tenants, vendors and buyers alike. 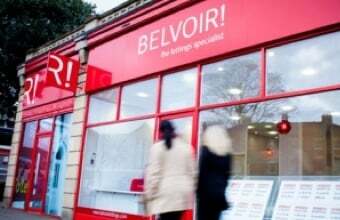 We know how important it is to keep the familiarity and levels of customer care that they have come to expect from these Belvoir offices. Raewyn is confident that with her many years of experience she can steer the businesses in both Aldershot and Camberley to further success!